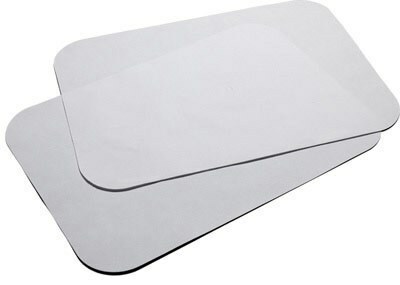 Trays and Tray Covers - Size: 8.5" X 12.25"
Tray covers are a convenient infection control barrier for the office and can protect instruments from colliding with the metal tray. Our covers are 8.5" x 12.25" and are available in blue and white. Sold in quantities of 1000 covers.